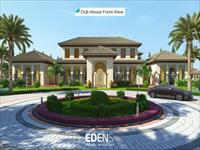 Looking for a property in Sanand? Have a property in Sanand? Sanand city is progressed on state highway. There is 5 or more GSRTC bus stop and connected with amts facility. As sanand is a industrial hub so in this city is named as nano city. Sanand is very nearer to Ahmedabad, distance is <10 km. 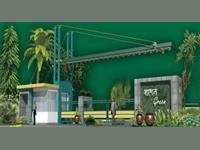 Sanand has emerged into a development model with various companies having set up its base over here. Sanand has been at easy proximity from Ahmedabad. Nalsarovar is the near to Sanand which is one of the largest wetlands and a bird sanctuary in Gujarat. Sanand is a Satellite town to Ahmedabad and is developing as India's largest auto hub with auto companies like Tata Motors, Ford, Peugeot, HAL, Hitachi etc. Very close to Ahmedabad the financial capital of Gujarat, and well connected with Highways and Railways. Having Nal Sarovar a famous wetland lake at 40Kms from Sanand it is also a well known tourist destination. Value for money second home with own Resort. Sanand is the the richest village in Ahmedabad. When TATA Nano launched the plant the rates of the land where booming too fast. 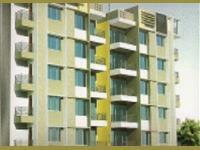 Mainly its located in West Ahmedabad towards the Viramgham Highway. It connects with the six lane road and the famous tourist place Nalsarovar. Due to the industrial development and tourist places, the land rates are going up and up. This six lane road goes till Mundra port which is the main benefit for the export industries. Sanand, Ahmedabad is rated 9 out of 10 based on 4 user reviews. Have a good knowledge of Sanand? Share it and become a Locality expert. 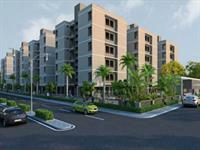 1, 2 BHK Residential Apartments in Sanand Ahmadabad. Aagam 99 Residency offers 1, 2 BHK apartments options with all aspect outstanding features and located at Sanand Ahmadabad. Anand Sukirti Silver is offering 2 and 3BHK luxury apartment in ideal location of Sanand, Ahmedabad.